Here are articles about musical structure I've written for various music publications. Also included are some templates and keyboard graphics that show you common piano scales and chords. 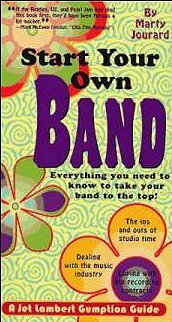 You'll need to download a free copy of Adobe Reader to view and print these graphic files.There is plenty of free information available here to help you play, write, and understand music.In addition I offer my "how-to" book about bands, music, and the music business: Start Your Own Band. Explains why and how songs are in a particular key and includes a truly useful Transposing Chart that allows you to easily transpose a song into any key. Can you write pop songs by the numbers? Yes you can. This article explains how chords are the basic structure of pop songs, and how you can create a song by assigning each chord a number and putting these numbers in various patterns. Easier than it sounds, this may open up your mind to how songs are constructed and get you started with writing songs. To view and print these files please go to Adobe Reader and download their free software. Nine five-octave keyboards for notating chords and scales. Every major scale with left hand and right hand fingerings. Major scales are the building blocks of Western music. Learn them and you will know a lot more about how music works. In today's world, fast is considered better than slow. Read why this doesn't work when learning to play a new song.